The Cwejman S1 MK 2 is an incredibly versatile, three oscillator semi-modular analogue synthesizer developed by Swedish circuit aficionado Wowa Cwejman. Cwejman synthesizers and held in credibly high regard by the synth community, thanks to Wowa’s desire to deliver on “like a tank” build quality and he’s uncompromising pursuit of excellent tone. The S1 MKII perfectly displays Cwejman’s skills as a synth designer, blending a well thought out user interface with vast and versatile patching options. S1 is based upon a classic three oscillator architecture, with two distinct filters, ring modulation, some super snappy envelopes and an array of genius circuitry which delivers that clean, bright, fat Cwejman tone their synths are so well known for. Each of the three VCO’s features seven possible waveforms, independent FM attenuators, “clicky” octave switching and multiple sync options. Each of the VCO’s feed into a duo of mixers, one for each filter(!). Each filter mixer has inputs for each oscillator, with clipping possible in higher gain settings, a ring modulation attenuator, plus mixer one has an input for the multimode filter output and the MMF filter mixer has a white noise level control. So even at the mixer level, there is an absolute shed load of tone sculpting options. After the filter mixers, come the filters. There’s a 6 pole low pass fully resonant VCF with pole switching and a really aggressive resonance tone, the second filter is a 6 pole multi mode filter that is switchable between 2,4 and 6 poles. Each filter has three possible sources to derive its cut off modulation, be that envelope one positive or inverted, envelope two positive or inverted and more uniquely an option to sweep between oscillator one FM or the LFO. We have a VERY limited number of S1's on order, so please pre-order to secure your unit. The S1 encompasses everything people love about Cwejman designs, great workflow, incredible sound and a selection of unique tools to craft a whole world of sounds. It’s an incredibly powerful machine that even now stands up as being one of the most well designed and well implemented sound generating circuits on the market. 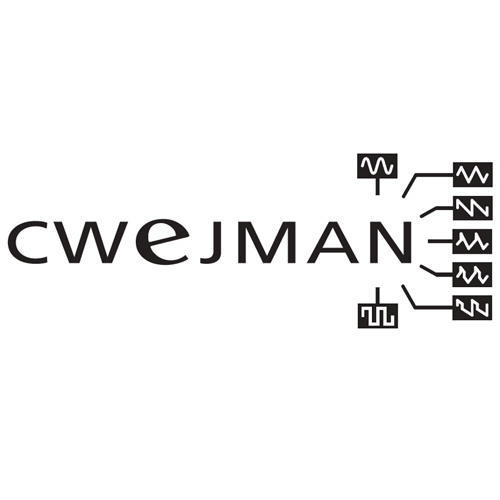 The Cwejman S1 MKII is an incredibly versatile semi-modular analogue synthesizer that displays why Wowa Cwejman's designs are held in such high regard by the synthesizer community. Beautifully designed, incredible sound and modular versatility.